The Co-Driver messenger bag features dual large-capacity main compartments that are perfect for organizing your race log and other important papers. A secondary removable front compartment includes organizer pockets to keep track of pens and other important gear. For added utility, the Co-Driver features an additional side compartment for a mobile phone. 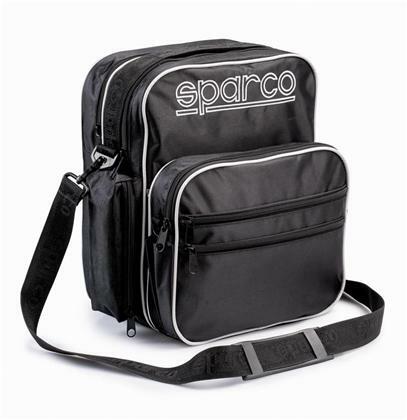 Made of durable Polyester, this purpose-driven bag measures 30 cm long, 37 cm high and 14/20 cm deep.